2018 Canadian Mountain Running Championships Events - Something for Everyone All Across the Country! Sign up for an event in your area today. The Canadian Mountain Running Championships will be hosted in Golden, BC on June 9th, 2018. You can register for the 2018 Canadian Mountain Running Championships if you have met the eligibility criteria discussed below. You can register for the event at the National Championships website. Competitors need to qualify to compete at the 2018 Canadian Mountain Running Championships by meeting any one (or more) of the selection criteria set out below. Ontario Qualifying Race: 5Peaks Kelso Half Marathon, May 5, 2018 [Note: racers can qualify for the Canadian Mountain Running Championships by finishing in the top three in their age group in ANY DISTANCE (Sport, Enduro OR Half Marathon). Please note that the Terra Cotta race has been cancelled due to weather. you have run under 36 minutes (men) or 40 minutes (women) for 10 kilometres in 2017 or 2018 in a sanctioned road or cross-country race or any other equivalent race result. The Canadian Long Distance Mountain Running Championships are being hosted at The North Face Kal Park Dirty Feet 50 on May 6th, 2018. The Kal Park Dirty Feet 50 will be the qualifying race for the 15th WMRA Long Distance Mountain Running Championships on June 24th in Poland. 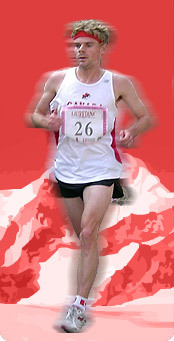 Any athlete is eligible to compete at the Canadian Long Distance Mountain Running Championships. Register by going to the North Face Kal Park Dirty Feet 50k race page, set out above. Only members of the Canadian Mountain Running Association will be consider for positions on the national team. We are pleased to announce the Canadian Mountain Running calendar for 2018. Please follow the tab "Championship series" for more information about the 2018 mountain running season.